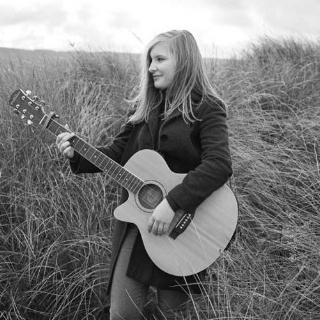 Lori Smith is a fourteen year-old singer/songwriter from the West Coast of Scotland, with a voice that far belies her tender years, and a song-writing talent to match. Having been raised on Northern Soul, Ska, Reggae and Punk, Lori has a range of influences far beyond most musicians her age. Lori’s unrelenting enthusiasm for timeless, genuinely great music shines through in her debut single I Want to Come Home, which was released in November 2017. She also has a 2nd track Ain’t that far away on the First Light album. Lori has just recorded 2 new songs Fighter and Record on Repeat that will be out very soon. She has also featured on STV and has gained over 150,000 views on a Facebook live video of her busking. Lori’s story has not gone unnoticed with lush publication in Ayrshire Magazine and local paper The Ayrshire Post both running articles on her, while the Daily Record called her "A rising star”!